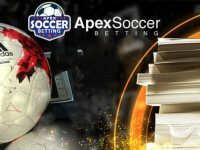 Soccer is the “Beautiful Sport” and what is also beautiful about the most popular sport the world over is the fact that there are many betting options for it. From betting on a match or a total fromparlays to proposition bets, there is no lack of bet types for soccer fans. When you learn how to bet on soccer or any sport for that matter, you want to get the best payout possible. Because of that, it is a good idea to check different sportsbooks online to find the best odds for a match if you plan to bet on it. The odds between sportsbooks will not be that different, but if you find the best odds, even by a fraction, take it, as your payout will be better. Match betting is the most popular way to bet on soccer, as you are simply betting on the win,lose, or draw. Soccer is unlike other sports, such as football and basketball, that go to overtime,as in soccer the game simply ends in a draw. This is why you have three betting options for the match bet. You will see a match bet with three odds for 1x2, as 1 is the home team, x is the draw, and 2 is the away team. In this example, Real Madrid is the home team and favorite with "–" in front of the number, Barcelona is the underdog with "+" in front of the number, and the draw, which is if the match ends in a tie. In using $100 as an example, you can bet however much you want; you will have to bet $140 to win $100 on Real Madrid, $100 to win $120 on Barcelona, and $100 to win $230 on a draw. 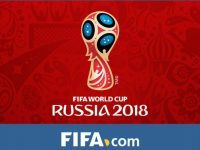 Regarding match betting there is also a handicap bet in soccer where the favorite will be giving a goal or goals, and the underdog will be getting them. The odds will change for this handicap bet, and often those odds will make the favorite the underdog and the underdog the favorite. In this example, the total posted is 3.5 goals. If the match ends and Barcelona wins 3-1 the totalnumber of goals scored was four, so the over bet would be the winning one and the under would be the losing one. Many times the .5 will be added after the number of goals, but there cannot be a half a goal scored in a match? The top soccer sportsbooks do this to avoid a push bet. If the total number of goals posted by a sportsbook is 4 and the game ends 3-1, then four is the total, and the bet would be a push. With a half a goal at the end of a total there is no chance of a push bet. There are many other soccer bets such as parlays, proposition bets, and futures. In a parlay bet you are making at least two bets in one and you have to win both or all of the matches in the bet for it to be a winning one. There can be a four-match parlay, for example, where you could make a straight match or total, and all four, in your parlay have to winners for you to win the four. Parlay payouts are impressive but harder to win when picking multiple soccer games. A proposition bet is also called a prop bet, and there are in detailed aspects of a match. There are tons of prop bets that you can make on soccer, and there are team and player ones. A few examples of a soccer prop bet are will there be a red card in the match, will there be a penalty, will Lionel Messi score? In a futures’ bet you are betting on the outcome of an event. A futures bet is a longer one and not on one match, as a few examples are will Manchester United win the Premier League, will Brazil win the World Cup, and will Lionel Messi win the scoring title in La Liga? Are you ready to dominate with some soccer betting advice ? We hope this small soccer bettingguide helps you understand the different types of bets available.